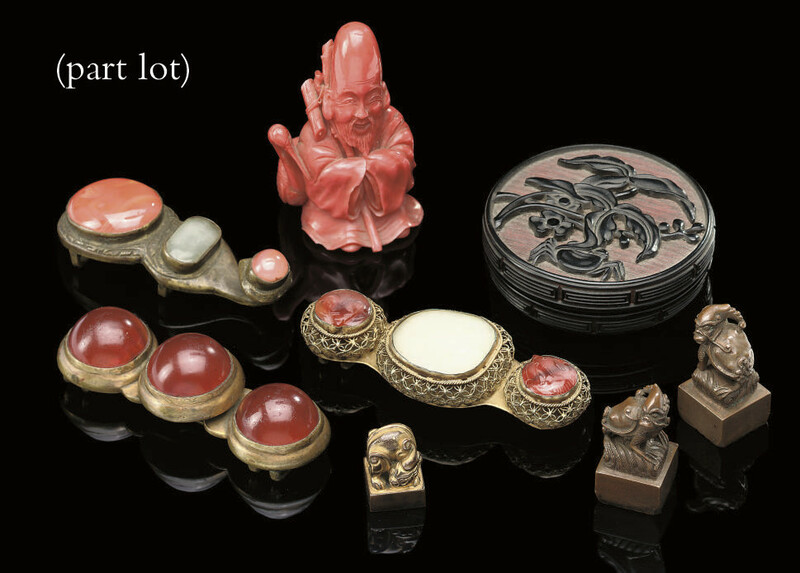 including a group of small bronze seals, inset buckles, a small circular lacquer box and cover, one travelling inkwell and another with a brush and various pendants, buckles and carvings -- 7in. (17.8cm.) max.